Through WVUteach, the West Virginia University Center for Excellence in STEM Education is set to produce nearly 25 STEM teachers each year, accelerating the pace of placing certified teachers in vacant West Virginia classrooms. As the world faces increased security challenges, West Virginia University aspires to raise awareness of human diversity and global security needs through a new collaborative graduate degree. 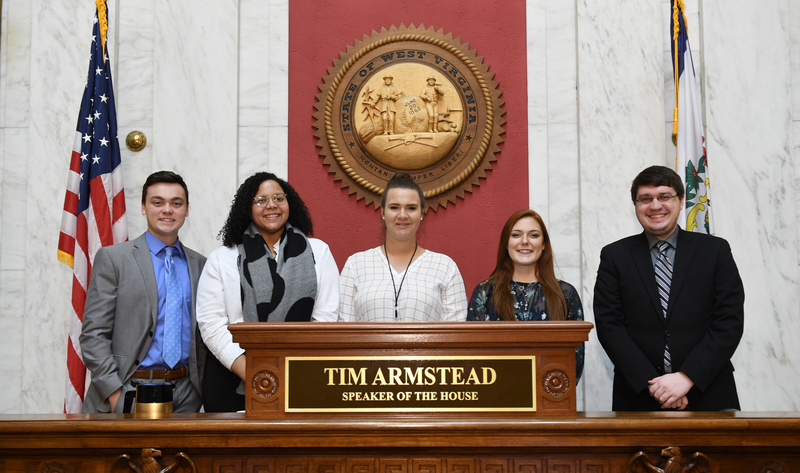 Eleven students from the Eberly College of Arts and Sciences at West Virginia University have been selected to intern at the West Virginia State Legislature this semester. The Department of English will host a reading by Nick Flynn on Thursday, March 22 at 7:30 p.m. in the WVU Downtown Library's Milano Reading Room. From the moment West Virginia University alumna Caitlin Ahrens picked up her first geology book in junior high, she never stopped exploring her curiosity. She graduated from WVU’s Eberly College of Arts and Sciences in 2015 with bachelor of science degrees in geology and physics with an emphasis in astrophysics.